‘Don’t Believe The Hype’ Public Enemy implored us. You might want to apply that logic to the Premier League if last night’s awful match was anything to go by. 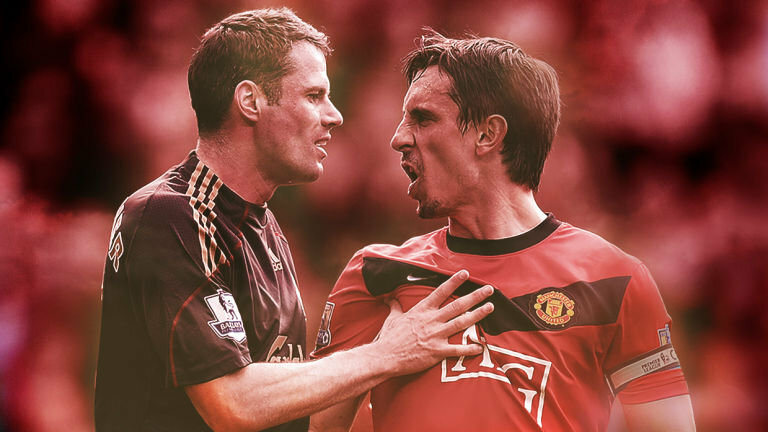 Manchester United looked at Liverpool this season and decided to play them at their own game. The Gegenpress came from the visitors. At one point in the first half, Liverpool enjoyed just 3% possession in the final third of the pitch. United pressed from the moment Liverpool crossed the halfway line and in tandem with 6 or 7 defenders strung across their penalty area, thwarted the Reds hopes for creating space to exploit. With Young and the less effective Rashford, ahead of the full backs, United were able to deny Liverpool space on the flanks and neutralise Mane. With Sturridge struggling to find space, he and the Senegalese international frequently found themselves making runs into the same areas. Their dominance didn’t manifest in the possession statistics. United ‘enjoyed’ just 35% of the ball but Liverpool managed just two shots on targets all night, such was the consistency of the United players applying Jose Mourinho’s gameplan. When Liverpool did escape United’s shackles, Adam Lallana’s vision was sorely missed. The England international is adept at receiving the ball on the half-turn, ready to pass to either flank. Returning to the Premier League as a second half substitute, the England international showed no signs of discomfort following his groin injury. With his introduction, Firmino moved to the centre and caused the United central pair more problems in thirty minutes than Sturridge had in the previous hour. Lallana’s arrival was the catalyst for the home side to force the game. Coutinho drew a fine save from De Gea whilst Can did likewise. The Spaniard assuredly dealt with both, pushing the ball to safety both times with strong hands. United though, kept nipping at Liverpool’s heels and in tandem with a 6 – 3 – 1 formation when they didn’t have the ball, forced Liverpool into hopeful balls toward the blue wall strung across the United penalty area. For the most part, he chased shadows. And then on 54 minutes he produced a peach of a cross for Ibrahimovic which the Swede surprisingly squandered. It was a horrible moment for Zlatan, genuinely bad. The most expensive player in the world is not a title sitting comfortably on his shoulders. For the money United paid, they will be expecting more from him in the big games. In the recent Mancunian derby, he was all but anonymous and last night he was very much on the edges of the action. Whilst Mourinho’s tactics influenced that – dictated his performance even – he showed little inclination to make incisive breaks when United had the ball. It increasingly left him running into channels and dead-ends. His performance is summed with the damning statistics that of his 38 passes, just 27 were completed accurately. Not a lot of bang for your buck. He’s right. Years ago, Mourinho would have been walking a gauntlet of hate and whilst that manifested in unacceptable behaviour, to be faced with indifference and mobile phone cameras showed the Portuguese he had already won half the battle. As it became apparent that United were a better side than the Kop expected, a hush descended onto Anfield with Jurgen Klopp’s barkings could be heard above the crowd. Liverpool, struggling to break down their opponents’ obduracy, needed something to spark the supporters from their slumber and found little opportunity to do so. United were relatively well-disciplined in not conceding free kicks or picking up bookings, so avoiding raising temperatures. In Anfield’s silence, United found strength to continue their performance. Until the second half, Emre Can and Philippe Coutinho were kept very quiet by United’s midfield. Integral to that was Ander Herrera. Recently called into the Spanish squad, he performed excellently in the same role Sergio Busquets does for Barcelona; the quiet destroyer. He shackled both Liverpool’s central midfielders well, picking their pockets for possession on more than one occasion whilst forcing them to move the ball quickly and in doing so, passes went astray at an uncharacteristically high rate. The Brazilian was allowed only one opportunity of note, with David De Gea’s right hand clawing the ball to safety whilst Can’s low shot was blocked in an equally emphatic manner. Aside from those moments, Herrera dictated the pace and tempo of United’s efficient pressing game. Rightly accorded “Man of the Match”, expect Herrera to become a more permanent fixture in that role as Mourinho tries to make his team more difficult to beat. ← Previous Story Mission Impossible? Can Wayne Rooney Bounce Back? Next Story → Can Liverpool Still Win the Premier League With Their Defensive Frailties?